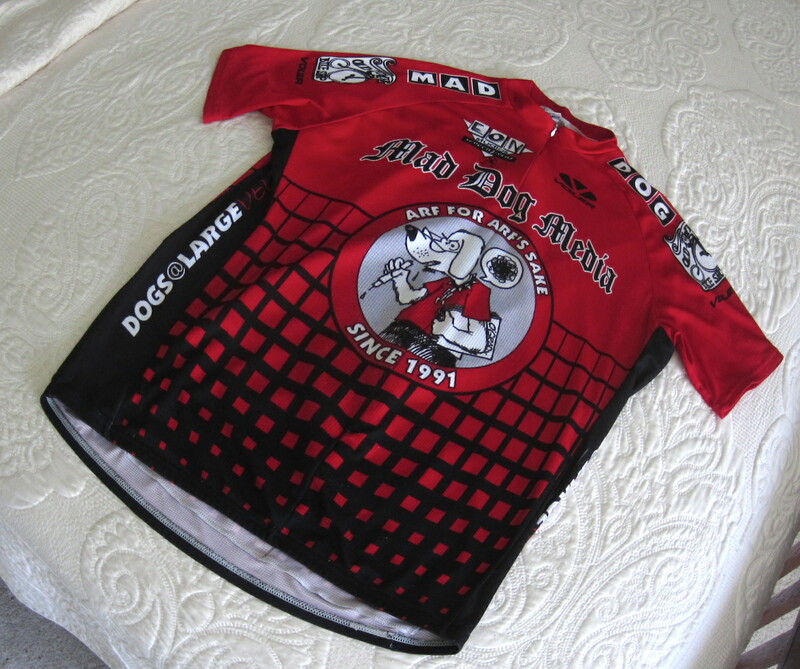 The coveted red leader’s jersey. I attacked myself without mercy in today’s stage of the Vuelta del Viejo and rode into the red leader’s jersey. In an astounding bit of treachery intended to bamboozle my enemies, I actually wore the jersey throughout the stage, but as chief commissaire I chose to look the other way, as did nearly everyone else who saw me. Naturally, both A and B samples came back positive for bacon, which is good for 10 bonus seconds, eggs over easy and a side of home fries. This entry was posted on August 30, 2015 at 5:57 pm and is filed under Albuquerque, Bicycle racing, Bike stuff. You can follow any responses to this entry through the RSS 2.0 feed. You can leave a response, or trackback from your own site. Leader group and broom wagon a la seme temps. Well played! Blueberry pancakes and home fries this morning. Am I on the podium? Or did I need biscuits and gravy? Blueberry pancakes, slices of melon, and strong coffee. followed by a ride into the Jemez and a trip back down in the driving rain. The breakfast of a champion! Breakfast Sunday morning? Cower before me mere mortals! I had grits, one egg over easy, 3 slices of bacon, and three pancakes. Then I went for a 70 mile ride.